I hope you are having a good day. I am a Antelope based home sitter that wants to help your family if I can. Excited to talk to you soon.I hope you are having a good day. 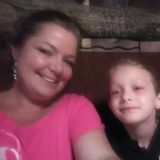 I am a Antelope based home sitter that wants to help your family if I can. Excited to talk to you soon.I hope you are having a good day. I am a Antelope based home sitter that wants to help your family if I can. Excited to talk to you soon. I am Antonio Campos, a senior at Antelope highschool and I’m a simple person who is lookin for work nearby!I am Antonio Campos, a senior at Antelope highschool and I’m a simple person who is lookin for work nearby!I am Antonio Campos, a senior at Antelope highschool and I’m a simple person who is lookin for work nearby! Im Kaylee Ford, Im A House Sitter. Also, Baby Sit And Pet Sit As Well.Im Kaylee Ford, Im A House Sitter. Also, Baby Sit And Pet Sit As Well.Im Kaylee Ford, Im A House Sitter. Also, Baby Sit And Pet Sit As Well.Im Kaylee Ford, Im A House Sitter. Also, Baby Sit And Pet Sit As Well. Upbeat house and pet sitter right here in antalope!Upbeat house and pet sitter right here in antalope!Upbeat house and pet sitter right here in antalope!Upbeat house and pet sitter right here in antalope! HouseSitter.com is an online house sitting service that connects homeowners with a community of reliable individuals offering short and long term house sitting and pet sitting services in Antelope, California. Finding reliable & trusted house sitters in Antelope, California can be hard but our simple to use website makes it so much easier! If you’re going on a long-term vacation or taking an extended business trip get yourself a professional house sitter and set your mind at ease knowing your home and pets will be taken care of while you’re gone.